Grab your Discounted Fingerprint Lock while the store LAUNCH DISCOUNT is on. Once we reach 300-unit sales, we will be increasing the price back up to $91.95. This is absolutely a great gift! The Titanium - FingerPrint Scanning Smart lock is UNBREAKABLE! Introducing the Fingerprint Scanning Smart lock! This lock provides you the security and quick access that you can't get from an ordinary padlock. It needs no complex combinations, no keys, nor does it need phone apps to access it. Making it completely secure against hacking, bumping, and lock picking. The Fingerprint Scanning Smart lock's sensitive scanning technology will grant you access with just a tap in a second. 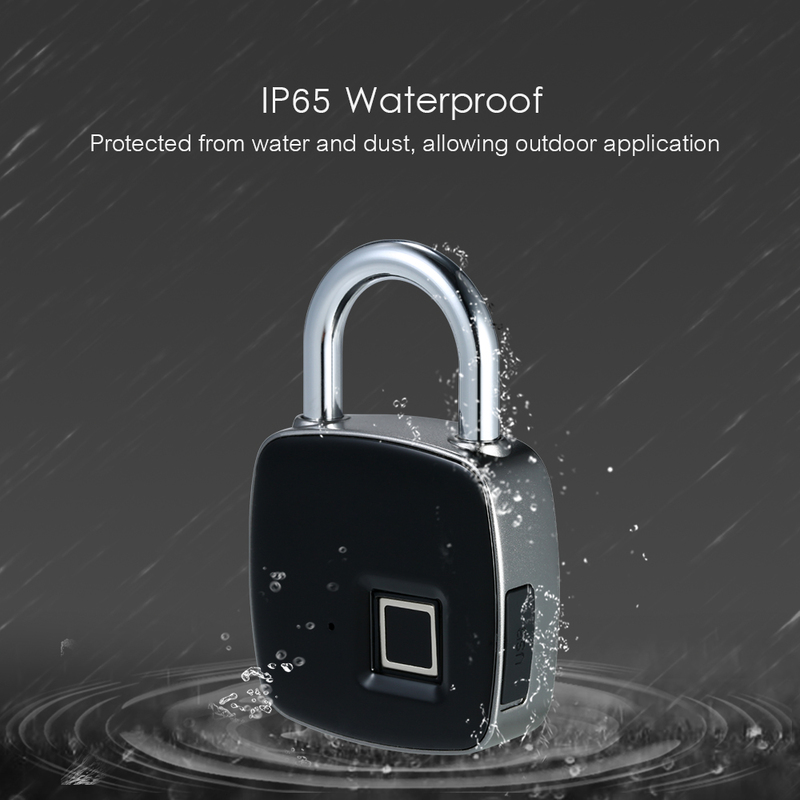 It's durable construction materials not only ensures that it can stand up to brute force, but it also means it can withstand harsh conditions outdoors. lock is very heavy. works fast. The locker is really good quality, the packing is made with nice materials, nice feeling, the first setup is kind of tricky but after the second step is easier. I think the same item is easily selling for $80 in retail stores. Received 17 days after my order and despite the 11.11. solid lock and big enough, trust, not yet try the digital recognition is for a Christmas gift. The lock is a little bit smaller than I thought. Just do some initial testing and it works perfectly. Dont know how long the battery is, hopefully it would be as the commitment of the seller. Good communication, recommended seller. Comply with the description. Quality packaging. Padlock looks as good quality. To see if it works properly.